Grand Opening Special ! 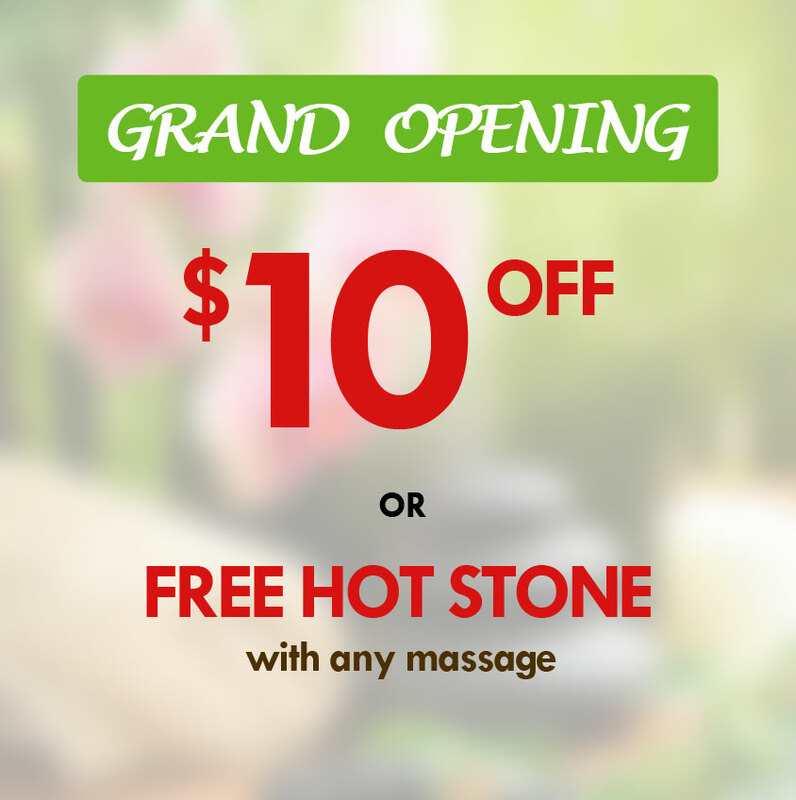 $10 Off or get FREE HOT STONE with any massage services. Please call for more information.